Xihu: A pretty lake area south of Eryuan. Eryuan county is almost entirely Bai. 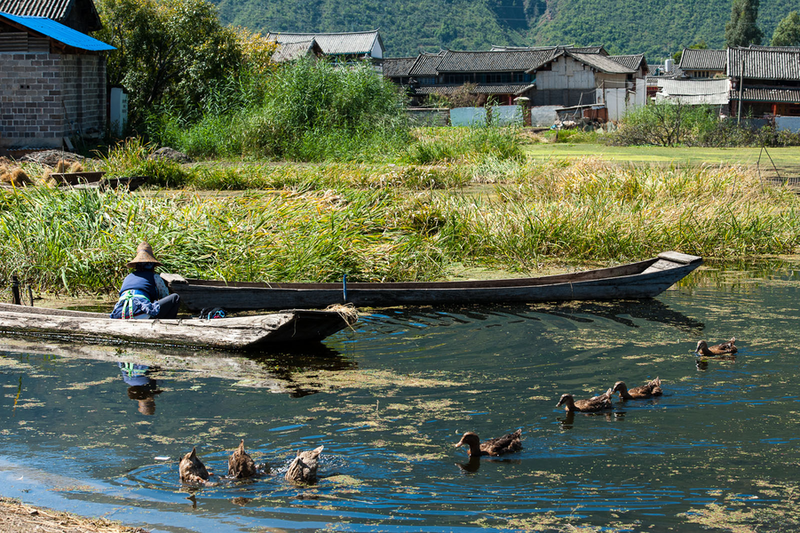 Xihu is an ancient wetland area, the Fengyu valley retains lots of Bai customs and there are plenty of hotsprings around. Once an important salt-mining town, now the second largest town along the Heihui River north of Yangbi. Pretty lake with recreational facilities. A small county town just of pretty Cibi Lake. A pretty lake area south of Eryuan. In mid-2017 many hotels in the Erhai Lake catchment area have been closed for the protection of the lake.